Mr.Desper is a lawyer with true values and morals. He is kind, compassionate, and VERY intelligent. His knowledge of the law is incredibly impressive AND he seems to truly enjoy his work and helping others. He has an amazing talent for explaining laws in terms that the lay person can understand. In addition, he has very quick response times. I highly recommend Mr. Desper! P.S. His staff Dawn and Brandon are both wonderful as well! Mr. Desper knowledge of the law, is superior. He took my case, looked at the whole picture and laid out scenarios that possibly could happened down the road. At one point, I did not listen to Mr. Desper, and I paid the price. Last time I did that. I would highly recommend Mr. Desper to anyone seeking legal advice. The man is a rock star. Also he has an assistant Dawn, who is a true professional!!! I'm grateful for the help Mr. Desper provided me when I needed it most. He was responsive, explained everything clearly, and did an amazing job. I'd recommend his services to anyone. Mr Desper far exceeded my expectations. I am beyond grateful for the time and effort he took in my case. I became lost in life and landed in a serious legal situation. He did not degrade me and helped me turn my life around for the good. He is an amazing attorney and just a great person in general. I highly recommend his services. Wish I could leave more than 5 stars. Never had an experience like this with a lawyer before. Mr Desper gave me a consultation. He told me right away that i needed a lawyer who was licensed in PA. Even after letting me know he couldnt represent me in court he still listened to my issues, reviewed paper work and let me know what options I had. All while treating me with compassion and being just plan nice. Highly recommend. Mr. Despers office is conveniently located in downtown Westminster. His office staff is great, and Mr. Desper is always willing to answer any questions that arise. Mr. Desper does a great job making sure everything that can be done is done to help his clients case. He helped me win a huge case, and for that I am forever grateful! I will choose him again for sure if something ever came up! Mr. Desper provided me with the best legal services! Both him and his assistant Dawn were always very informative and friendly. I would highly recommend Mr. Desper's law office for any legal case you may have. I can't thank him enough! I'm writing this review because Gary not only took my temp custody case at such a short notice, he explained to me what my options were and what I could do in the future. To help me later on, on the long term custody case. Unfortunately under my circumstances I had to give in a little but Gary helped me focus and did plenty in our negotiations. Which at the end I thought was reasonable from what my ex was wanting. Thanks again Gary! Throughout the entirety of my ordeal, Gary and his Executive Assistant, Dawn, kept my mind at ease. Despite their busy workload, they were always available to assist me and keep me up to date on every little detail. Everything was explained to me in a way that was perfectly understandable. Gary and Dawn are both very personable people and genuinely pleasant to be around. Should I find myself in conflict again, I will, without doubt, reach out to Gary! I cannot recommend him enough! The extensive positive reviews speak for themselves and I couldn’t be more satisfied with Gary’s representation. He kept an open and honest line of communication the entire duration of proceedings and all questions were answered in a very easy way for me to understand. Gary is a rock solid man and an excellent attorney, worthy of 5 stars every day of the week! When I was in need of legal counsel, I got on google and read all of the positive reviews on Mr. Desper. I immediately decided to call his office. He was able to meet with me the same day. Mr. Desper is extremely knowledgeable with the law and gave me exceptional care from start to finish. He was always available if I had any questions and got me the best possible outcome for my case. It was a pleasure to work with Mr. Desper and I would highly recommend him to anyone! A few months back I was looking for a lawyer, I needed someone with a good reputation, someone who not only did his or her job but CARED for their clients. I came across Mr.Desper and I was not disappointed. He was not only gentle but forthcoming of my options. I cried in his office numerous occasions and to my surprise he was sympathetic and relatable. As a sensitive "single" mom he understood what a hard situation I was in. I never felt rushed out of the office and he took his time explaining all of my questions and concerns. He truly went out of his way to make sure I have had the best outcome in every situation and I couldn't thank him enough. Gary is hardworking, on top of his game and a great man. If you're looking for someone to represent you I HIGHLY recommend him. His secretary has also been polite and kind with each and every phone call/visit. Five stars Gary, thank you! Gary is extremely knowledgeable and attentive to small details I think many other lawyers fail to see and is one of the many reasons I am glad he is on my side. His understanding of the law and ability to instill confidence in you and resolve the current situation makes him one of the best. Gary is an excellent attorney with an impressive background in the law field. He is trustworthy, reliable, and very knowledgable. My husband and I continuously seek Gary's guidance; he is direct and will give you the honest truth, which we find enduring. We are grateful for his expertise and representation, and recommend him to all seeking honest and principled counsel. I had a legal issue arise out of the blue, which in my opinion happened to be very unique. I reached out to Mr. Desper seeking counsel and he agreed to take on my case. He proceeded to do so with professionalism, dedication, honesty and always willing to to explain things openly to me as I am not as in tune with legal terms and concepts. He treated my case as a priority in my eyes. He never let anything slip. I always felt he was one step ahead of me, which is nice as he was representing me. There were some struggles during my 9 month case and Mr. Desper was never afraid to "grab the bull by the horns". ALWAYS felt confident having him in my corner and I cannot express that enough! His receptionist Dawn, was a key component in my case in communicating phone conversations, appointments, and organizing documents. I cannot thank Mr. Desper enough for assisting me the way he did! None of us want to go in blind when it comes to legal matters that come up, but if they do, I highly recommend Mr. Desper for anyone seeking legal counsel. Gary was there for my Mom and I through very difficult times. He was caring, compassionate and thorough. My Mom has now passed on, and Gary is now my and my husband’s lawyer. She picked a good man. Thank you Gary and Dawn, for your gentle care. We are eternally grateful. My wife and I used Gary Desper's Law services to complete all of our "Final Documents". Gary answered all our questions and concerns in a professional manner. We were very satisfied with the results and personal service. We would recommend Gary Desper's Law firm for any legal services you might need. Mr. Desper handled a Legal case for me recently and I was very grateful for his professionalism and the end result. I felt comfortable with Gary from my initial consultation because he truly cares about his work. Gary pays great attention to detail! Gary was very knowledgeable and reliable with everything! I would definitely recommend him to anyone, he has great follow up with every situation which truly shows that he cares about his clients. Everything worked out wonderfully with him! Highly recommended! I came here not knowing what to do because I have never needed to appoint myself a lawyer. But I ended up walking into his office and he guided me on what needed to be done so I could have a good outlook in my case. Not only did I not need to attend court for the arraignment but Mr. Desper called me the Friday before my court case and said that it was being thrown out and that I did not need to attend court for it. Now let me let you all know. I was stressing over this because I not only did I not know what was going to happen but I just lost my little sister due to a brain aneurysm so I was highly down. But after I received that call from Gary I knew that heir had to be someone looking down on me or Gary is that good of a lawyer lol but I'm going to go with both in this case. I highly recommend his service because not only will you not be briefed accordingly but at the same time you will be satisfied with the work done on his behalf. 10 STARS! Gary was a great attorney for my case. He is very personable but does not sugar coat the potential outcome of your individual case. He and his office staff were very non-judgemental and prompt when exchanging information and returning phone calls. Mr. Desper handled a legal case recently for us and I found him to be both helpful and compassionate. His knowledge of the legal system and his connections within the Carroll County community is extensive and we are grateful for his representation and expertise! I chose Mr. Desper because I know many others have retained him. He handled my issue quickly and thoroughly. I will definitely call him again, should I have need of legal services. My experience with Gary Desper was AMAZING from start to finish! I was facing pretty serious charges and naturally was terrified and overwhelmed and had NO IDEA what to do. The second we hired Gary he assured me he would take the best possible care of me and it was his job to stress out for me now and for me to try and relax.He seemed like someone I could trust and believe when he said that. Gary definitely came trough on his word and then some! He answered any questions I had and always in a timely manner with the help of his wonderful and friendly assistant Dawn. When all was said and done the charges were dropped! He really did hold true to his word and took excellent care of me. I fully intend on using Gary Desper again in the future for any legal needs I may have. Thank you Gary and Dawn! Extremely helpful and pleasant to work with. I had an amazing experience working with Mr. Desper with my felony theft case. He answered all questions and concerns I had at all times and made this process very smooth for me. He was professional, respectful to me and my family, organized, and compassionate. I would 100% call Mr. Desper again if I needed anymore legal work done. I would highly recommend using Mr. Desper to anyone looking for a 5 star lawyer at an affordable rate. Thank you Gary! Mr. Desper was a fantastic help to me in my legal battle that I was originally going to represent myself in. He helped me to understand my best course of action that I should take. I’m absolutely glad that I was fortunate enough to have his counsel. He saved my life! He was 100% confident in his expectations of the outcome, but made sure to let me know all of the potentials. He was well known in the court systems and familiar with the processes even out of county. Thank you! I will be recommending you to everyone in need of an attorney! Gary Desper's knowledge of law and clear instructions created a winning scenario for my court case. Gary was also surprisingly affordable and followed through with all his promises made during the initial consultation. He immediately gave me confidence that my outcome would be the best that I could achieve if I followed his simple instructions. Once the trial was over, Gary continued to provide care and confidence, and I would highly recommend using Gary Desper's law office as your choice for help with your lawyer needs. Gary's office assistants were also extremely caring and made sure that any questions I had before and after the case were answered immediately! Great job! Gary Desper's office took my information, and he called me back, explained the law, and eased my fears. He took time from his personal life and family to help me. Mr. Desper is by far the best lawyer I've ever had. He is very knowledgeable about what he does, and he was very involved with my case. If you follow all of his advice you will, without doubt, get the best possible outcome to your situation. Mr. Desper is also very reasonable with his pricing. If you go with Desper, you will absolutely not be disappointed. Everyone I know that has had his counsel has left happy, including myself. Gary did an amazing job in handling my case. He is very knowledgeable and experienced. I believe he is very vested in getting the best possible outcome for his clients. He gave me very clear advise and instructions for my case and we got a very favorable outcome. I recommend his services 100% and would use him again if needed. I had the need for an attorney recently and after speaking with three attorneys, all of which very very qualified, I decided to choose Gary Desper to represent me and ensure my rights were protected. Mr. Desper exceeded my expectations. His explanation of what I could expect,as well as the process in the court and the ramifications of the entire legal issue was clearly explained. His fees were explained and reasonable. Mr. Desper made me feel comfortable throughout the process and the final result was favorable! Mr. Gary Desper is the attorney I will contact should I need legal advice or representation in the future. Gary is a great attorney! If you do all of the things he advises you will do well in court. Gary did an excellent job advocating for my case and achieved as favorable an outcome as could be expected in what was a complex and at times contentious case. His costs are more than fair and he charges fairly. His advice is thoughtful and will give frank opinions on expectations and approach. Would return for services for any future legal needs. Gary Desper is the fastest lawyer I have ever retained the services of. Speed is one thing of course but fact is he gets results and actually keeps you updated. His office location near the Court Houses in Westminster is a prime location further facilitating his efficiency. Dawn his assistant is also outstanding. I highly recommend the legal services of Gary Desper. Mr. Desper is very understanding, friendly and helpful. And I also love how his staff are kind and just full of awesomeness. They work very hard to bring the best outcome to any case they get like they did with my case. When we needed legal help I was clueless, I had no idea how to find a a good attorney in the state of Maryland. I'm so grateful for the referral I received for the Law Offices of Gary W. Desper, I knew we were in good hands from our very first visit. I'm very happy with the way our case turned out, I'd call him again in an instant and refer him to all my friends and family! We could not be more pleased with efforts of Gary Desper. His knowledge and guidance was key to our success in the case. I would highly recommend him for anyone seeking assistance. Stop searching right now! You've found one of the best attorneys around! I can't say enough good things about Mr. Desper. Gary is a very honest man with his clients best interest in mind. Reasonable rates, professional, very clear and concise about what choices you have and extremely knowledgeable on how the courts operate. I've only been working with him a short time but he already has me as a life-long client! My legal battles are far from over but I trust that Gary will help me through them! Also, his assistant Dawn is super nice and very helpful! Gary has always been the most friendly lawyer someone could ask for. He takes your concerns seriously and has good relationships with the local law enforcement and legal community. Gary's advice has always served me well and I'd highly recommend him to anyone seeking legal advice in any area. Gary Desper is a rare find in the legal community. I've been through three divorces in my life, in three states, with three lawyers. While the first two lawyers I worked with were ready to sue at the drop of a hat, he has continually counseled agreement, mutual concessions, and working things out between myself and my ex for the benefit of our children. I've had to deal with some terrible situations with my ex, and he has been there to keep me focused on the family and the long-term outcome, even when I came to him angry and he stood to make a lot of money exploiting my emotional state. His core focus on the actual best interests of his clients has been unique in my experiences with lawyers, and I've always found that he was right. I ended up getting everything I wanted without having to spend years fighting it out in court by taking his advice and recommendations. He's also fast, responsive, and effective, well-versed in the law and the court processes. His skill, talent, and wisdom have served me and my family well every time I've had to turn to him for representation. I can't recommend him, and his counsel, enough. I highly recommend Gary for any of your legal needs. He has been a Godsend to me in my legal situation, he is amazing! He is so on point and very detailed oriented! He always makes time to help regardless of how busy he is! He is incredibly knowledgeable in all regards of your case as he takes the time to get to know you and your situation and he works diligently to get you the best outcome. He and his staff are very compassionate to your needs and they go above and beyond to see that you are happy! Thank you Gary and Dawn you are absolutely wonderful! He also takes the time out of his busy schedule to answer questions for me even though we have come to an amicable solution. There are not too many lawyers that would go above and beyond the way he and Dawn have done and it certainly doesn't go unnoticed with me! I am forever grateful to them for all the help they provide me even though it is not required of them! I would recommend Gary to anyone who asked or I thought could benefit from him he certainly has been and continues to be a blessing to me and my family! Thank you once again Gary and Dawn you are gifted and a blessing in my life! Gary has helped me multiple times and is a amazing lawyer. He explains everything that could happen and what's going on so you feel very comfortable and know what to expect. His assistant is also very helpful. I recommend Gary 100%!! I highly recommend Gary Desper to anyone who is in need of legal services. He is honest, trustworthy, and full of knowledge. I was completely overwhelmed before I met with him, but when I walked out of his office I felt a huge weight off my shoulders because I knew he was able to handle my situation. He is upfront about what to expect and keeps it frank, which shows he is not the type of lawyer who is just trying to make money off of you. He truly cares for his clients and I felt secure and understood the whole time. He was professional and efficient in his work, and prepared. I will continue to use Gary for the rest of my legal needs. I'm very thankful I was able to find him. A lawyer who actually listens to you. Will advise you of all your options as well as the negatives and positives of each. Will go with whatever you want, but will advise you of the best option. All lawyers are going to cost you, but at least with Mr. Desper, I felt that he actually listened to me, explained all my options as well as possible outcomes. He will not humor you, just to charge you billable hours. Also his secretary, Dawn I believe, is very helpful, courteous, and professional. Mr. Desper made an awful situation, much easier to navigate through and deal with. “Mr. Desper and his staff are the best! Gary was not just an attorney but an advocate explaining complicated legal matters in simple everyday terms. He explained potential outcomes and told me what he was going to do – and did it! Also, Mr. Desper is well known/respected within the court systems in Carroll County. Through his efforts, relationships, and persistence, the outcome of my case could not have been better. I wanted to take this opportunity to thank Gary Desper and his staff for all their help and assistance with my legal matter. 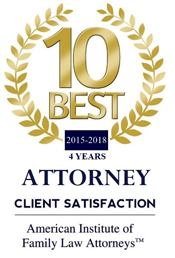 Each time we were in contact, they were extremely supportive and helpful to my needs not to mention courteous and handled all aspects to my case on a timely basis. Mr Desper even came in during his vacation to finalize my matter! This was the frosting on the cake, exceptional service from the most caring and dedicated law firm. I would highly recommend Mr. Gary Desper to anyone requiring legal assistance and you will be greeted by the most friendly of staff upon arrival. My many thanks to Dawn who is a pleasure and Mr Desper again for all your hard work, it will NEVER be forgotten. If ever in need, I will return to Mr Gary Desper's office for any legal advice without a doubt ! I would highly recommend them! Gary Desper was a pleasure to deal with. He was very realistic with the possibilities of what may happen, but then over-delivered in the end. It was clear in seeing the way other attorneys carried themselves in the court room, that this is someone you would want by your side. The suggestions he gave of what things I should do prior to court, we're repeated by the judge and obviously made a huge difference in the outcome. I sure hope I never need him again, but if I do, I know I have someone I can trust. Also, while this is not a deciding factor, it's rare to find someone who's quality is better than the rest, and also less expensive! Gary helped guide me through through the separation process and really did an excellent job of looking out for my best interests and the interests of my children. He was very thorough and the marriage settlement agreement that I have is something I am very happy with. Through his counsel I was able to avoid a court battle and save tens of thousands of dollars. Mr. Desper provided excellent legal advice to me. It is clear he weighed all of my options, thought through various potential outcomes of each, and provided a fair estimate of the most likely course of events. My case worked out very well, but he was prepared for other eventualities. Fortune favors the prepared mind, so they say. Thank you Gary! We just completed our wills and other necessary legal decisions with Gary Desper. We so appreciated his affable personality as he fully explained legalities in ways that we grasped quickly and answered all our questions. The support staff is there to serve the clients as well. Everyone is congenial, efficient, and made this process very positive. Gary provided excellent service in guiding us to make safe and beneficial decisions. Bravo! and thank you very much! My family and I have been so grateful to find an attorney like Gary Desper. We Googled attorneys in Carroll County and then read reviews of their service. Gary won, hands-down. He has earned all the five star ratings we read. It was a pleasure to find Gary like an old friend , as opposed to a clients whom he never met. Gary was genial and sensitive to our particular needs. We never felt rushed or like a "dollar sign" in our discussions. It is easy to feel intimidated by attorneys who feel self-important and in great demand, but not with Gary. Not only is Gary personable, but his professional skill and knowledge is laudable. He made sure that each of us had a clear understanding of the process and our decisions. We are happy that, with Gary, we were able to resolve several different legal issues that could have potentially resulted in our seeking a few different lawyers. While our first legal resource in Carroll County was a "blind" choice, we won't make that kind of decision again. Considering all the costly errors we could have made, Gary Desper was NOT a mistake...he is our best, first choice! Gary and his staff are extremely professional and knowledgeable. This is the second occasion that I required legal services and would not have considered anyone but Gary. He was there every step of the way for me and my family. His negotiating skills and courtroom experience were key in the positive outcome in my case. Unlike other lawyer offices referred to us by the bank, we "found" Gary from one magazine while we were at our local bank. To our surprise, Gary is great to work with. He is very organized, informative and quick to respond. Gary's assistant Dawn is also very helpful. We had our wills done in a very short period of time and the cost was very reasonable. Gary Desper was appointed my husband's attorney for a guardianship case.He was very kind and helpful. My husband actually improved to the point where we didn't need guardianship any longer and he was very helpful in getting this case dismissed and providing my husband with the necessary legal documents. Thank you Gary. God Bless. We had an excellent experience with Mr. Desper. He worked very hard to get us a decision that everyone would be happy with especially his client. He didn't give up when something didn't go as planned. He kept going forward. Another excellent aspect was he treated us like friends and truly wanted to help. Every message that I left received an answer very quickly. I would highly recommend Mr. Desper for any attorney needs that you may have and will definitely hire him if we need anything else in the future. In January of 2016 I was in need of an attorney and Gary Desper came highly recommended. Mr. Desper is very open and honest and has seen my case through from beginning to end. He is very personable and his staff is very friendly and helpful when ever calling the office. Mr.Desper was very professional helping me to expedite my mother's estate . He and his staff made a difficult task easy for me !! I would recommend him to anyone . I want to start by saying that before I met Gary Desper, I wasn't fond of lawyers. He proved to me that caring lawyers exist. He genuinely cares about his clients. I am so glad that I found Mr. Desper. He always greeted me by name and really went above and beyond for my case. He always made sure that he answered every single one of my questions (believe me I had alot.) I never felt like he was rushing me out of his office and he never "talked down" to me. Mr. Desper always kept me in the loop and he didn't nickle and dime me. Anytime I called for an update or a question, I had my answer that day. It really meant a lot to me that no matter how busy he was, he would always make time to call me back that same day, most of the time very soon after I called. He is passionate about his job, and I know from experience that he WILL fight for you. His office is welcoming, well organized and Dawn is amazing! She works just as hard as he does to make sure that everything is organized and accomplished in a timely manner. Her hard work allows him to have everything he needs avaliable to concentrate on your case. They are seriously a great team! If you're looking for a great lawyer for ANY reason, I strongly recommend Gary Desper. He will see you as more than "a paycheck" and will work hard to ensure that you are treated with respect. I don't normally write reviews but this time I really feel it's necessary. I have dealt with a lot of professions in my lifetime and when I deal with someone that has a true compassion and love for what they do I feel it's necessary for me to tell as many people as I can. I literary just picked Mr. Desper off the internet and I don't think I could have gotten any luckier. I am no longer living in Maryland and found out that I had a warrant and hired him to represent me. From the very beginning I felt Mr. Desper took a personal interest and I never felt like he was just in it for the money. He kept me informed of everything that was going on and even took time to call my mom and let her know so she wouldn't worry. I would definitely recommend to anyone that needed a lawyer for any reason. My siblings and I lost both parents within 3 weeks of each other. To say the least, we were completely at a loss as to what to do. My one brother had Gary as his attorney and suggested we use him because he considered him very trustworthy and knew he wouldn't take advantage of our situation. I was appointed personal representative of the estate, however I live out of state, which made it difficult. No problem - Gary basically took me by hand and alleviated the problems I faced. The family had to deal with cleaning out a house and 2 car garage (this took months to do). Gary arranged for dumpsters to be delivered when needed. He also introduced us to a realtor who was able to sell the house without problems. He also took care of bill payments and arranging a CPA to take care of the yearly income taxes. Needless to say I could go on and on with the excellent job Gary did for our family. He is extremely trustworthy, competent, and every aspect of his dealings with us was fully documented and distributed to each of us. Thanks again Gary for giving me and my family a peace of mind!" "Gary has been helping my wife Sandy and I for the past (2) years on Estate Law and also with Court representation on a very personal matter. He literally saved us thousands. Gary is not just a good lawyer, he is a great lawyer. He is not only honest and knowledgeable – he goes the extra mile in explaining the Law so that the average person can understand it and weigh the best options. Without question, Sandy and I could not have gotten through these last 2 years without his guidance and committment. He is simply the best lawyer you will find in Maryland. Five stars plus five. Thanks Gary!" "There are no other words to say for Mr. Desper's services other than extraordinary. Gary absolutely takes a personal interest in his client's like no other attorney. With his exceptional relationship he has with everyone he was able to expedite and remedy my situation like no other attorney would have. I will forever appreciate his personal service. Ironically we met through my work where he is a customer and I look forward to always being able to help him in return. If you need an attorney, Gary is your man. I will recommend Gary to all my friends and family!" "Choosing Gary W. Desper as my legal counsel was one of the best decisions I ever made. In addition to his comprehensive knowledge of the law, Mr. Desper took the time to understand the personal toll that a legal process can have on those involved, and he tailored his representation to my specific needs. This not only enhanced my peace of mind, but it also helped to keep my expenses in check. I found his representation to be ethical, effective, and reasonably priced (a description one suspects, that is rarely used when speaking of the legal profession). I highly recommend Gary W. Desper for your legal representation." Desktops & Laptops - Visit our Google Reviews page (desktop only) or visit our Facebook page. Smartphones & Tablets - Leave our website and go to Google to WRITE A REVIEW (leaves this site and goes to Google's Review screen, you must sign in to Google to write a review) and/or visit our Facebook page. Please note that each option may take a couple of seconds to load on your smartphone, depending on your connection. Use of this website does not create an attorney-client relationship. Please consult an attorney if you need legal advice.